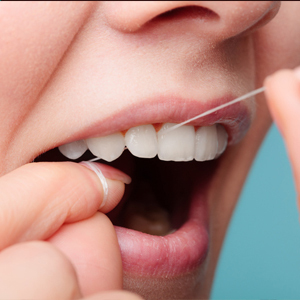 Do you want to revitalize your smile but are worried about breaking the bank to do so? Dr. Ramyar Elyassian, your Orange, CA, dentist, is an expert in installing implant dentures, an affordable solution for patients who have lost all their teeth. Implant tenures, also called mini dental implants, are sequences of titanium posts implanted into teeth sockets to replace missing tooth roots. What Are Some Advantages and Benefits of Implant Dentures? What Does the Procedure Consist Of? Metal posts are surgically implanted in a series into your jaw. Osseointegration will occur over three to six months (this is a process where bone and tissue surrounding the implants will fuse to posts). This action creates a sturdy and unmoving foundation from which to hold your dentures. Patient are fitted with temporary teeth. 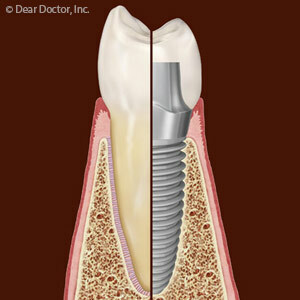 After six months, your doctor will attach abutments to the implants that'll be attached to artificial teeth. The full dentures are attached to the abutments. After the procedure is over, patients will be able to resume normal daily activities, such as eating, chewing and speaking. You'll also have the added benefit of a great smile and stable dentures that don't slip, as mentioned above. The process of getting implant dentures may be long, but it is worth the time, money, and comfort. If you have any more questions about implant dentures, call Dental Implant and Laser Surgical Specialists' Orange, CA, office at (714) 730-3746.